Just a heads-up with the set times for New Year’s Eve at OTO. 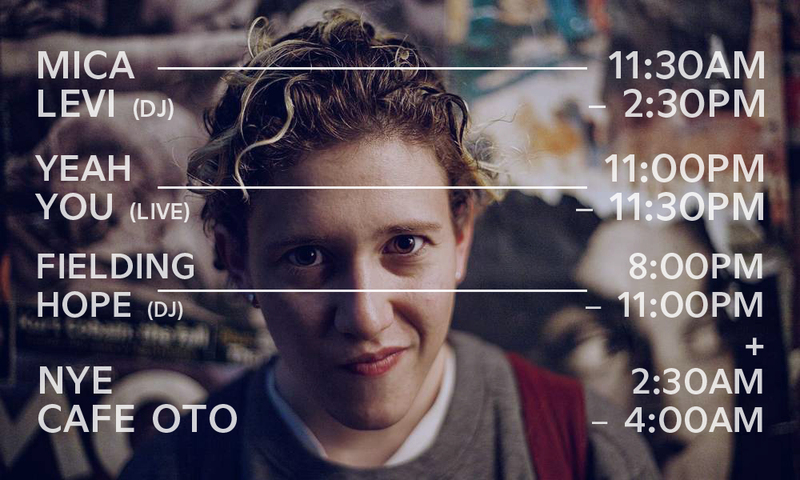 We’re thrilled to be welcoming in 2017 in style with a very special DJ set from incredible musical polymath, Mica Levi, plus a live set from one of our favourite acts of 2016, Yeah You! Our very own Fielding Hope will be DJing a bit on the night as well. Still a few tickets left but don’t hang around as they’re going fast!